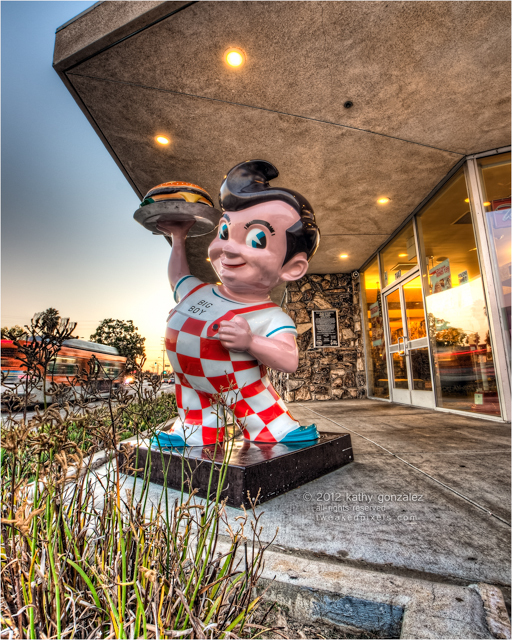 i often sit near this boy when i'm either getting my gear out, or packing it up at the big boy in downey. has to be one of my favorite places to be on a wednesday night, all year round. one of the first shows i went to, when i got started doing this photography thing again. i really should get out and shoot more often. and this guy gives me something to look forward to in the middle of the week. well, apart from the other guy, my better half, that is. this one is a lot less scary than the burger boy on the other side of the lot, near the other entrance.